We are very lucky and grateful to work with some genuinely expert, helpful people. Without their support, Snorer.com would not exist. Feel free to explore their profiles. Huge thanks to the team at Royal Papworth Hospital NHS Foundation Trust and particularly the Respiratory Support and Sleep Centre, who understood the challenge and wanted to be part of our vision for helping people get tested and treated for sleep apnoea. Without their professional medical diagnosis and opinion, we wouldn’t have the crucial third partner in the ASAP Anonymous Sleep Apnoea Process™. We’d like to thank the team at Runway for being their super-brilliant-helpful selves with the rather complicated back end (so anonymity is assured), our shop and everything else where we’ve asked for their help. We’d also like to thank Tim Marsden and Simon Drew at Greenshires Printing. Thanks for your help specifying and advising on shipping boxes for ASAP™. Thanks also to various team members at Solopress and Moo, for other incidental print work. Having worked in sleep medicine since 1994, Adrian is passionate about helping and supporting people to get good quality, restorative sleep. 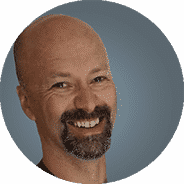 Being somewhat of a clever clogs, he is also the principal author, trainer, director, data controller and founder of Snorer.com. 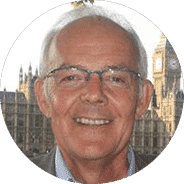 Adrian is a co-founder and former CEO of the British Society of Dental Sleep Medicine (BSDSM), he runs a LinkedIN group “The impact of sleep disorders on business” and is a member of the British Sleep Society. How come he knows so much about this topic? 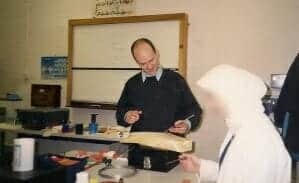 After leaving school, Adrian studied dental technology for 3 years and then served 8 years in the RAF Dental Branch, leaving with the rank of Sergeant and numerous technical qualifications. It was here, whilst working with industry specialists, that he first developed his interest in sleep medicine. He was the specialist technician to Air Commodore Timothy Negus OBE, Consultant Advisor in Oro-Maxillofacial Surgery Tri-Service and while serving in the Armed Forces he began his long working relationship with Emeritus Professor John Stradling MD FRCP, of Osler Sleep Unit, Oxford University Hospital. He went on to pioneer the first commercial dental sleep medicine laboratory in Europe; Zacher Sleep Appliances (ZSA Ltd). During the 11 years running ZSA, he invented a disposable, instant, oral sleep device that could be adjusted to suit the individual needs of the wearer and won an award for the device, having gained EU funds for CAD prototyping. During this time Adrian also taught dental technology and IT. 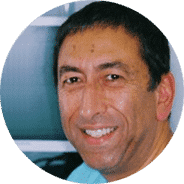 In 2005 he co-founded the British Society of Dental Sleep Medicine (BSDSM) with Dr Roy Dookun and instigated their Pre-Treatment Screening Protocol , which forms the basis for sleep apnoea screening in the UK. The Small firms Merit Award for Innovation logo. He continues to provide specialist sleep medicine training via Snorer.training which is an on-demand training program about sleep (primarily for dentists). Training is about the recognition, screening and management of sleep-related breathing disorders. Zacher Sleep Appliances (ZSA Ltd.) provided custom oral appliances exclusively for medically diagnosed patients. These included private and patients on several clinical trials (one such supported by the Sleep Apnoea Trust Association ). After ZSA, he consulted to ResMed on the developing opportunity for oral appliances, culminating in his recommendation to acquire the French company Laboratoires Narval, to mitigate risk to their existing PAP business and follow the reimbursed money into oral appliances. Whilst consulting, he studied for his MBA at Oxford Brookes University, Business School as a recipient of the prestigious Business School scholarship. 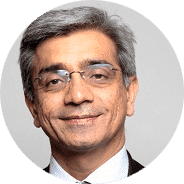 He was then headhunted to lead International Business Development for ResMed Narval as ResMed had taken his recommendation to acquire Laboratoires Narval. He successfully launched ResMed Narval into Sweden and worked on the US business case, which launched in June 2012. Adrian was ResMed’s subject matter expert on oral appliances and dental sleep medicine, contributing to international marketing and training. He left ResMed in February 2012. 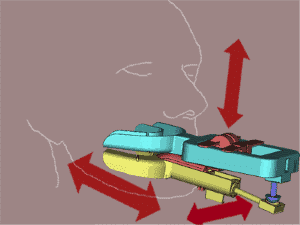 Above is a 3D model of the Titration oral appliance that Adrian invented, illustrating the range of titratable movements available. 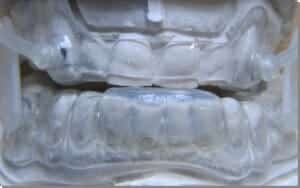 Above is a custom-made MAD ‘Negus’ anti-snoring device manufactured by Adrian when he founded and ran Zacher Sleep Appliances (ZSA). Adrian is often asked for advice and insight in the field of sleep medicine. In 2011 Adrian was approached to write a chapter in Carranza’s Clinical Periodontology Expert Consult, co-authored from a clinical perspective by Dr Michael McDevitt DDS. This was published online in 2012. Adrian has now completed the 2018 book chapter. Adrian then took some time off to support his wife through the end of her pregnancy and help look after their first child born in May 2012. Their second child was born in 2015. Having eaten lots of curries and driven lots of fast cars (two more passions other than his family and ‘sleep’) he started work on Snorer.com Ltd in June 2012. Adrian plans to expand Snorer.com’s services around the world to provide benefits to both society and sleepy individuals. 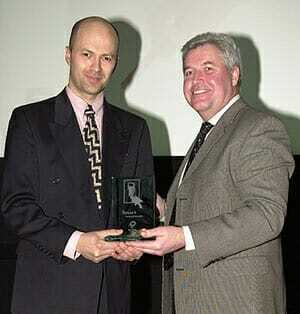 He is the author of the Snorer.com blog – All things sleep apnoea and snoring. Adrian is the lead tutor for the Snorer.training KnowSleep™ Academy on-demand dental sleep medicine education for dentists interested in the management of sleep-related breathing disorders including snoring and sleep apnoea. Adrian modified the design of the Laboratoires Narval MAD (now acquired by ResMed) to incorporate incisal guidance and posterior disclusion. Adrian teaching Dental Technology at Lambeth College, London. 1996. Emma has had a varied career across numerous sectors. The common element has been helping people and making processes simple. This is one of the skills she brings to Snorer.com. Having initially trained as a graphic information designer, Emma went on to win international awards for design and print. She undertook an MA in Design Management, moving her career into the more managerial side of design; working as a project manager in web design and build industries. After a few years and a relocation, Emma’s career evolved into IT consultancy, and she then set up and ran her own successful events company. After many years in events, Emma wanted a change, and moved into career and talent management, working in a strategic career advisory, retraining with the first cohort of the CIPDs PgC in Career and Talent Management. 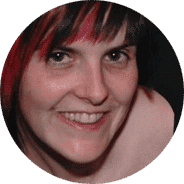 Having worked as ‘Head of Amazing’ and an Account Director in a leading B2B marketing agency, and more recently at M3 (EU) Ltd / Doctors.net.uk, Emma now runs her own consultancy business, supporting Snorer.com, whilst also working at Promontory Ltd .
Emma writes the blog The Snoring Lady . Professor Bhik Kotecha is the Clinical Lead for the Sleep Disorders Unit at the Royal National Throat, Nose & Ear Hospital, London. He has been in this role since 1998. He was born in Kenya and has been in UK since 1972. He has a medical degree obtained in 1984 in Cardiff and a Postgraduate M.Phil., from the University of Sussex. He is a Fellow of Royal College of Surgeons of England and a Fellow of Royal College of Surgeons of Edinburgh. A member of Court of Examiners for Royal College of Surgeons of England, he was previously President of Sleep Medicine Section at Royal Society of Medicine, London 2009-2011. Professor Ormiston is doubly qualified in medicine and dentistry holding dental and medical/surgical fellowships, FDSRCS, FRCS and is also a Fellow of the Hong Kong Academy of Medicine. While his dental and medical/surgical training were in the UK, much of his post medical maxillofacial training was under Professor Henk Tideman at University of Hong Kong. 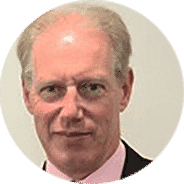 Mr Ormiston sits on the Board of Sleep Section of Royal Society of Medicine, London and on the Board of British Society of Dental Sleep Medicine. He is currently a consultant Oral and Maxillofacial Cleft Surgeon and also Head of service for the departments of Maxillofacial, Restorative Dentistry and Orthodontics at the University Hospitals of Leicester, UK. Dr Dookun is a GDP (General Dental Practitioner) practicing in Guernsey with a particular interest in the treatment of snoring and OSA patients. Dr Dookun is a past president and co-founder of the BSDSM (British Society of Dental Sleep Medicine ), Board member of the European Academy of Dental Sleep Medicine and Board member of the ARTP SAC (Association for Respiratory Technology and Physiology) Sleep Apnoea Consortium. Dr Lizzie Hill PhD has worked in the field of sleep medicine since 2000. She is a Registered Polysomnographic Technologist, trained in the Department of Sleep Medicine at the Royal Infirmary of Edinburgh. In 2005, she was appointed Sleep Services Manager of The Edinburgh Sleep Centre, Scotland’s only private sleep disorders centre. She is a trained sleep counsellor, working with teenagers with sleep problems and additional support needs for the charity, Sleep Scotland. Lizzie completed her Research Fellowship in the Department of Sleep Medicine at the Royal Infirmary of Edinburgh, investigating prevalence and treatment of sleep apnoea in adults with Down’s Syndrome. 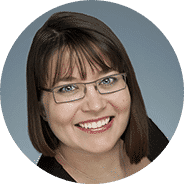 She is the UK national delegate for the European Society of Sleep Technologists and a member of the Executive Committee of the British Sleep Society, with editorial responsibility for the BSS newsletter. As well as sleep, she enjoys yoga, skiing, campervanning and real ale. Professor Williams is clinical director, consultant sleep and respiratory physician, Guy’s and St Thomas’ hospital, London, UK., and a Diplomat of the American Board of Sleep Medicine, a founding member of The British Sleep Foundation, the Sleep Medicine Section of the Royal Society of Medicine, and the R.L.S. UK Group. He has published extensively on Sleep Disorders including more than 100 peer reviewed original scientific papers and more than 40 other published papers including chapters and books. Adrian Williams graduated from University College Hospital, London and, after training in General Medicine there, took up a lectureship at The Cardiothoracic Institute, Brompton Hospital, investigating the pulmonary changes associated with chronic liver disease. In 1975 he took tenure at Harvard Medical School where his interest in sleep began with the investigation of Sudden Infant Death Syndrome (S.I.D.S). Here he published a definitive study implicating Obstructive Sleep Apnoea (OSA) as a cause of the syndrome. In 1977, took up a post as Chest Physician at U.C.L.A. where he further developed his interest in OSA and published one of the very first reports of OSA causing hypertension and of oximetry as a natural diagnostic tool. In 1985 Prof Williams became tenured Professor of Medicine at U.C.L.A. and Co-Director of U.C.L.A’s Sleep Laboratory and was one of the first to become a Fellow of the American Academy of Sleep Medicine (AASM). In 1994, he returned to the UK taking up the directorship of the Sleep Disorders Centre at St Thomas’s Hospital. Here he developed one of the UK’s only comprehensive sleep services with continued interest in Sleep Disordered Breathing and its treatment. In 2010, King’s College, London appointed him as the first substantive Professorial Chair in Sleep Medicine in the UK. 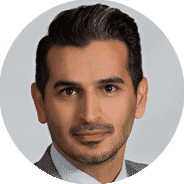 Dr Shouresh Charkhandeh is the Chief Dental Officer at Zephyr Sleep Technologies, the developer of “MATRx TM” Technology. He is the recipient of the “2012 & 2015 Clinical Research Award” and “2015 Clinical Excellence Award” from the American Academy of Dental Sleep Medicine (AADSM). Dr Charkhandeh received his Doctor of Dental Surgery (DDS) Degree and Bachelor of Medical Sciences from the University of Alberta, Canada. He is a Fellow of The International Association of Physiologic Aesthetics and also a Fellow of Las Vegas Institute for Advanced Dental Studies. He then furthered his education and training by completing a Research Fellowship in the area of “Sleep and Dental Sleep Medicine” at the University of Antwerp Hospital (UZA), in Antwerp, Belgium. Shouresh is a general dentist who maintains a group of private practices in Edmonton and Calgary with an interest in Dental Sleep Medicine and TMD. He is actively involved in clinical research in Dental Sleep Medicine and his research focuses on developing new technologies to improve treatment outcome predictability and patient selection in Oral Appliance Therapy for patients with OSA (i.e. 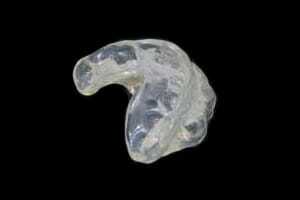 Obstructive Sleep Apnea). Dr. Charkhandeh is a major advocate for the importance of a multidisciplinary approach to Dental Sleep Medicine which focuses on the collaboration of Sleep Physicians, Sleep Dentists and other healthcare professionals. He has been treating OSA patients for many years and also has trained hundreds of dentists in Dental Sleep Medicine. Kath has first-hand experience as she has sleep apnoea herself, so can truly empathise with the OSA patients her charity Hope2Sleep supports. 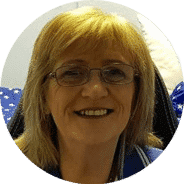 Kath runs the charity Hope2Sleep , along with associated online forums, where her mission is to raise awareness of sleep apnoea and provide comfort accessories and masks for CPAP/ BIPAP/ APAP treatment. She also offers free support for newly diagnosed sleep apnoea sufferers in order to help them comply with their CPAP treatment. She is an active member of the British Lung Foundation‘s OSA Advisory Panel, is an ‘Expert Patient’ of Guys & St Thomas’ Hospital, London and regularly liaises with sleep clinicians to help their patients struggling with CPAP.